Looking for best business books to get inspiration and motivation for doing your own business? In this exclusive article, we have a roundup of best business books of all time. This book list includes great business books from various writers and includes all time best sellers as well. Are you planning to launch a tech start-up but don’t have any idea about where to start, or you are facing some issues with your new company but are unable to find satisfactory resolution. You are not alone in this predicament. With continuous advance in technology, one of the common dreams of people in the modern society is to start their own business. However, there are many people who don’t have any business background and due to that, they find it very hard to start or run their own business. Fortunately, there are lots of good business books to read in the market that offer extensive information on established entrepreneurs; and what are the approaches a new entrepreneur should take in order to make his business start-up a roaring success. This book is full of concrete examples, models, checklists and data required for an ordinary person who wants to start a tech-startup on his own terms. A bestseller, this book is thoughtful, compulsive, funny and interesting for people who would like to build a solid business that can offer a financially independent life. This is one of the top startup books that show that it is very easy to transform an idea into reality. This is one of the best business books ever written. Targeted towards independent contractors, professionals, Internet businesses, home businesses, self-employed individuals, small businesses as well as employers, this is one of the must read business books, that offers extensive information on requirements for starting a business. The book offers information on creation of business plans, procuring licenses and permits as well as financing the business. The book also offers guidance on all aspects of starting and running successful businesses. This book offers the benefit of small business expertise for new as well as established entrepreneurs who have plans to start or run an existing tech start-up. The guide offers extensive information regarding the essentials of critical startup and how to survive the first three years in the market. The book also offers advice and tips from current successful entrepreneurs who offer common sense resolutions as well as the approach to any challenge. As per Eric Ries, a startup can be broadly defined as an organization that innovates under extreme pressure. 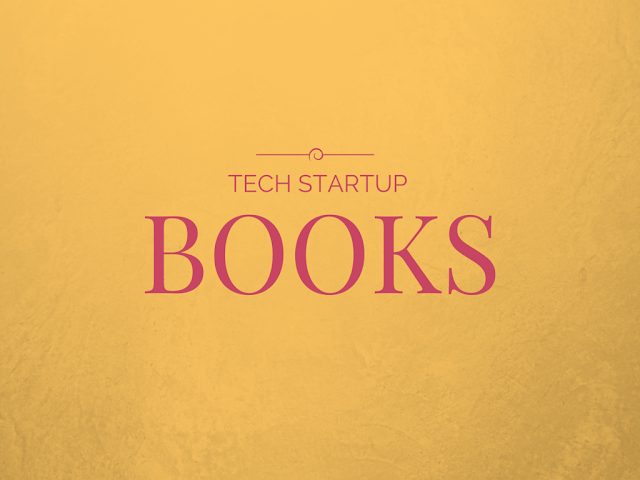 This is the best startup book that offers an innovative approach also known as a lean startup. This approach preaches leveraging human creativity and capital more efficiently for building up a successful business that would thrive in the market. The book also discusses various new concepts such as rapid scientific experimentation, validated learning and other intuitive practices that are becoming very popular with entrepreneurs. With continuous advance of technology, the method of doing business is also changing at a fast rate. This book offers information about how to minimize work and maximize the profits in chosen business by streamlining the process and delegating the routine work. It also offers wide-ranging information about the latest tools that can be used in business at free or no cost. For the entrepreneurs who believe that time is money and would like to expedite their work, this is one of the top business books to read and optimize the tools. This is one of the top books for startups that offer hope as well as guidance for the wannabe and new entrepreneurs who would like to become the Next Bill Gates, Sergey Brin or Larry Page. It also offers further guidance regarding finding new niches in the market and finding greater success. The approach regarding launching a product is one of the main reasons behind its success or failure in the market. This book offers extensive information as well as guidance regarding the successful launch of any product with limited budget. This is one of the good business books to read for an entrepreneur who plans to launch a new product range in the market. If you are a person who wants more than a conventional way of life, this book is just for you. This book offers the story of Chris Guillebeau, who defied common assumptions in his life and got success. He offers some useful tools that will enable you to live differently. With exploration on various topics such as contrarian travel and radical goal-setting, this book inspires you to embrace life as a continuous adventure. If you are planning to launch a technical start-up and join the ranks of elite entrepreneurs such as Sara Blakely of Spanx, this is the best book for you. This is one of the best business books to read when you would like to learn how to launch successful tech startups. This is one of the essential business books that offer information about how to take control of one’s life. The author narrates the stories of ordinary people who are taking control of their lives. This book also inspires readers to go on their own quest for success in life. Most of the business books offer same advice such as writing business plans as well as study of the opposition. This book offers an innovative approach to the topic by keeping pace with the development of technology and offers information about various tools to increase the speed of business. Targeted towards agencies, freelancers, entrepreneurs and others, this book offers extensive information and tools for launching tech or any other type of start-up. Widely known as the bootstrapper’s bible for launching the next product range in the market, this book is a real-life account of how the author built his small business start-up in just 7 days. The language of the book is easy and the author has enhanced the effects with charts and graphs that can be used by the reader. The venue of office has undergone a change with continuous advance of information technology. The pillars of the American dream have changed from having a successful business that runs from an expensive location, to an exotic place such as the beach. With technology at one’s beck and call, it has become possible to run a successful business while having a perpetual dream holiday. One of the ultimate dreams of most entrepreneurs is to have an online passive income. As internet business is active 24 hours a day, it is possible to earn money while you sleep. However, there are very few genuine books in the market that offers you the right information for this purpose. This is one of the best books that offer this information step by step and has been used by the author himself to increase his income. With the increase in reach of Internet technology all over the world, more and more people are becoming aware about the power of online marketing as a way to reach more people as well as an increasing source of income. With continuous fluctuation in the economy and job insecurity, people are getting increasingly attracted to online businesses. The author of this book offers extensive information about how to start and maintain an online business. Would you like to start your own business, but hesitating as you have no experience, money or business plan? There is no need of these things when you are starting your business. This is one of the top business books that offer real-life experience of the author, who is an owner of a multi-million business empire. He tells his story about what it really takes to transform a great idea into a great business. This book is specifically directed towards those people who are planning to launch a tech start-up or has already started one. The author of this book is a renowned small business expert who offers extensive information about streamlining various business processes that frees the mind of the entrepreneur. Further, it enables him to devote his precious time for building a long-term venture in the market. This is one of the classic best business books of all time that offers some simple money-making secrets and has been inspired by Andrew Carnegie. The book not only offers information about the secrets but also teaches the basic techniques that can be followed by anyone. Since its publication in 1936, this is one of the top 10 business books of all time in the market all over the world. It offers the basic techniques for winning and influencing friends and other people. A timeless bestseller, this book offers solid advice for the reader to get success in his life as well as work. Published in 1989, this is one of the timeless and top business books of all time that has influenced the CEO’s, Presidents and other elite people all over the world. If you want to achieve success in life, this is one of the must have books in your collection. Hope you enjoy reading these books and get some inspiration for running your own business? Which one have you already read, share with us.